Michael Bee Hodge, 33, of Livingston, tried to swim away from the long arm of the law. Fugitive Tries to Swim Away in Pond to Evade Arrest, LIVINGSTON, April 9, 2012 - On Friday April 6, 2012, Polk County Narcotics Detective's Christopher Lima and Vance Berry received information on the whereabouts of Michael Bee Hodge, 33, of Livingston. Prior to April 6th, a search warrant was executed at Hodge's residence and subsequent charges filed for possession of controlled substance (methamphetamine) and a felony warrant issued for his arrest. Hodge managed to elude capture on two separate occasions as Detective's attempted to apprehend Hodge. Information received on March 6, 2012 indicated Hodge would be traveling on FM 350 north towards the Livingston. Detectives were ready this time and had numerous Deputies with the Sheriff's Office ready to assist. Hodge was spotted in a vehicle traveling on FM 350 North around 7:00 am Friday morning and a traffic stop was attempted, Hodge traveled a short distance before exiting the vehicle on foot. Detectives Lima and Berry gave chase and captured Hodge who had swam out into a nearby pond in an attempt to get away. 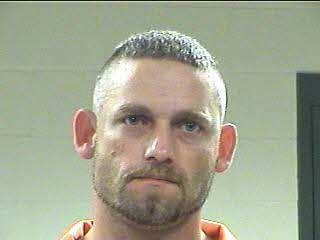 Further investigation at the scene found Hodge to be in possession of a sawed off shotgun and methamphetamine. Hodge was transported to the Polk County Jail and booked in on his warrant for possession of controlled substance, and two new additional charges one for prohibited weapon and a new charge for possession of controlled substance penalty group one. Hodge remains in the Polk County Jail under a $20,000 bond.